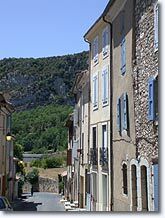 Quinson is a very plesasant village on the banks of the Verdon surrounded by beautiful countryside. 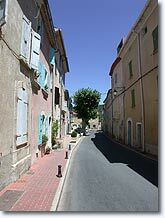 It is close to many picturesque spots to visit such as the Verdon gorges, the Valensole plateau and its lavender, and of course the three lakes: Quinson , Sainte Croix , and Esparron . 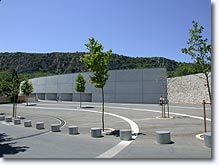 The nautic base located in Quinson allows the connection to the Esparron de Verdon lake. 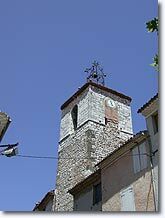 The old village which was perched on the cliff and dates back to Roman times is witness to the long past of Quinson. 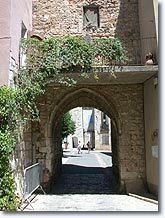 The present village is inside fortified walls and two towers are still visible.One of them gives access to the pretty church square. 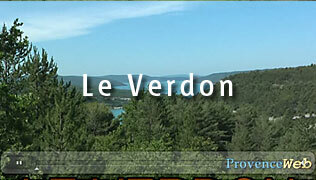 You can not miss the Museum of Prehistory of the Gorges du Verdon. The ruins of old Quinson. 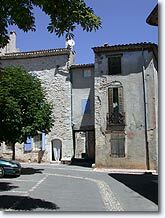 Prehistoric caves of La Baume Bonne. 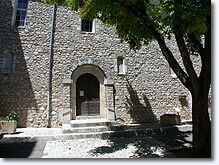 The Museum of Prehistory of the Gorges du Verdon. Nautic base Quinson (electric boat rentals). River and lake water sports. Hiking. Guides for hiking and climbing available through the tourist office. 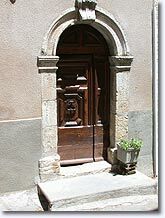 Crafts : pottery workshop, a sculptor in iron and a wood turner.